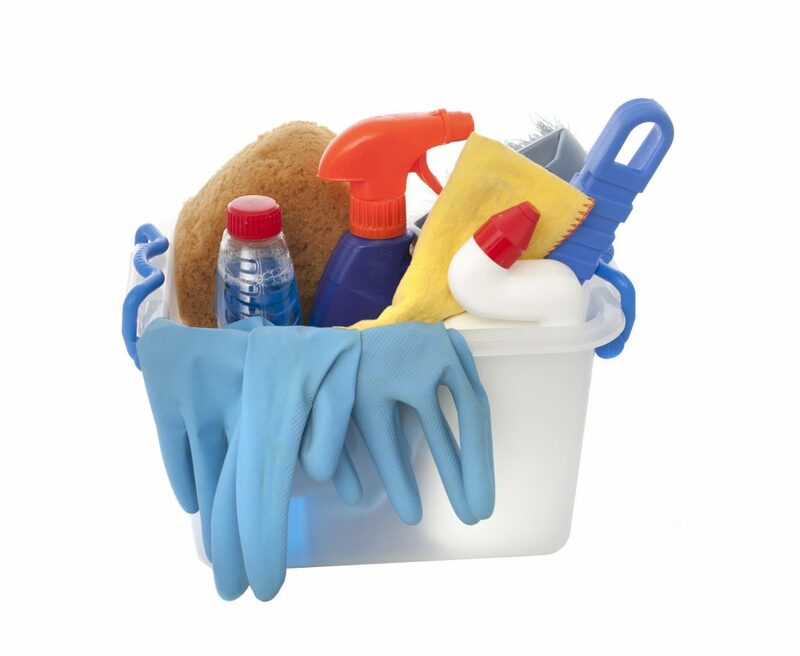 Spring is in the air (at least in most parts of the country) and with that comes the need for spring cleaning. Some of us get more excited at the thought of cleaning and organizing than others, so for those that dread this rite of passage every year, I thought I’d give you a few tips to make spring cleaning as quick and painless as possible. I once read an article by Martha Stewart somewhere that listed almost 20 items you need to gather before you embark upon your spring cleaning. While having a variety of items can be helpful to tackle any stain or situation that may arise, I find more just typically hinders the process. Natural, Multi-Purpose Cleaner: You’d be surprised at what you can use from your pantry to complete your spring cleaning. I’ve found that 1 part vinegar mixed with 4 parts warm water and a squeeze of lemon is one of the best cleaners around. Just combine in a spray bottle and you’re good to go! For areas that need more scrubbing, like the bathtub or sink, use a little baking soda on the surface first. Washcloths: Not only will you use fewer paper towels by using washcloths, but they’re so versatile and gentle on nearly every surface. Believe it or not, I prefer using white washcloths because you can both see every stain and they can be bleached after you’re done with your cleaning. This set of 24 washcloths is only $30, plus get 60% off with code SIXTY right now! Handheld Vacuum: A handheld vacuum can do everything from pick up small spills to reaching dust bunnies in areas a traditional vacuum can’t. I also love this tool for cleaning furniture fabric. There are even some vacuums that separate for a handheld option, which are a great investment. (Discover the best cordless vacuum cleaners here). If you’re armed and ready with these three items, you’ll be able to tackle the majority of your spring cleaning needs and will actually stay focused on cleaning, rather than keeping up with your supplies.